Antique floral enamel dangle earrings yellow gold, Victorian era: Description by Adin Antique Jewelry. Antique floral enamel dangle earrings yellow gold, Victorian era. 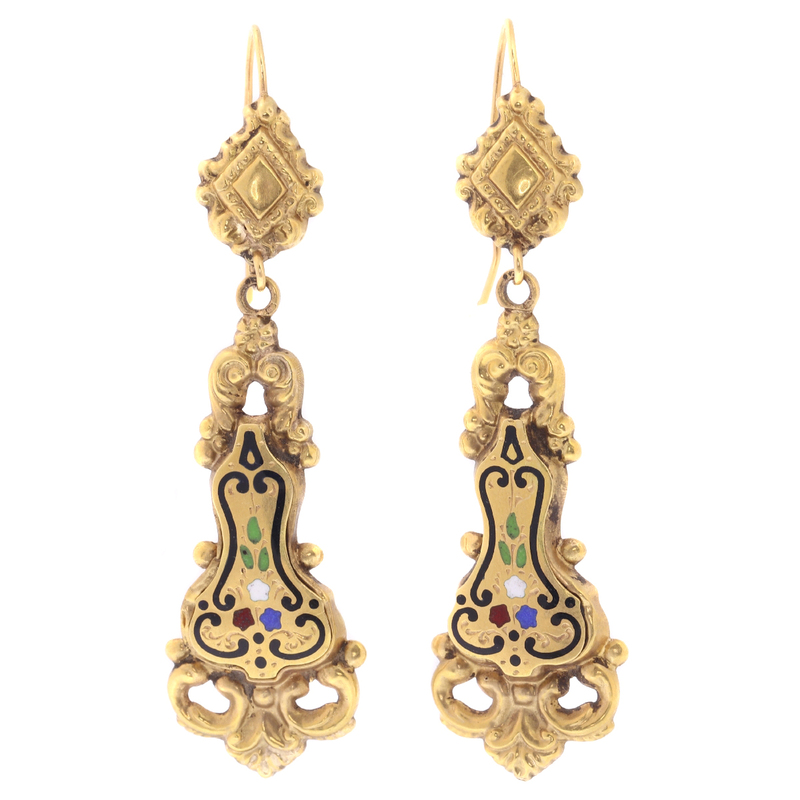 A very decorative pair of Victorian dangle earrings, floral motifs, colorful enamel, 18kt yellow gold, crafted in Belgium circa 1830’s, excellent condition… A touch of history.